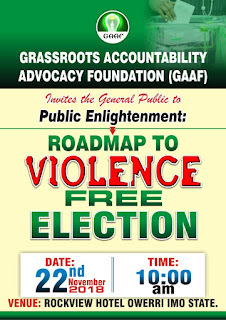 Grassroots Accountability Advocacy Foundation (GAAF) is mobilizing over 2,000 youths for nation-wide voters education. The youths would begin tour of local communities and shall be taking citizens on the issue of violence-free elections against 2019. 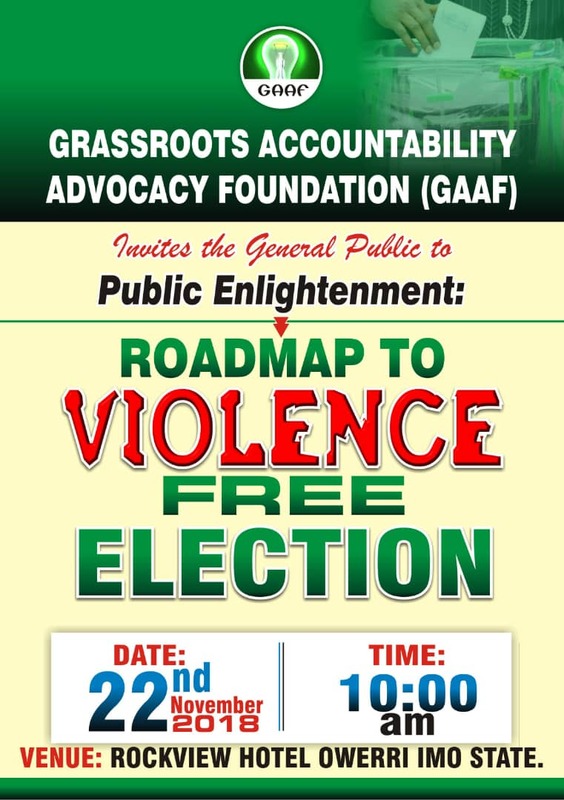 According to the President and Founder of GAAF, Genevieve Anthony-Iroajanma, the event "Roadmap to Violence-free Election" would be a nationwide enlightennent campaign and would flag off from Imo State on November 22. 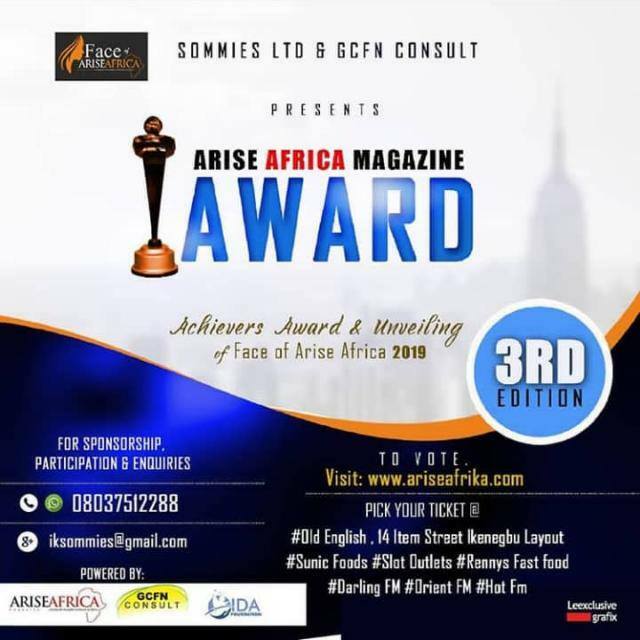 The initiative came with the increasing incidents of vote invalidations in the recently concluded elections in some states. 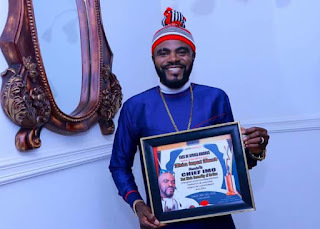 The scheduled flag off of the programme in Imo will bring together representatives of security agencies, the anti-graft agencies, Independent National Electoral Commission (INEC), Civil Society Groups, the academia, politicians and religious leaders, who would be speaking on the dangers of electoral violence.